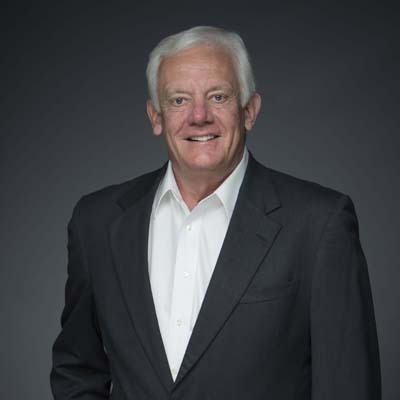 Joe Jernigan began his career in commercial real estate in 1980. He has been a Partner at Wolverine Interests since 2014. Joe Jernigan began his career in commercial real estate in 1980. He has been a Partner at Wolverine Interests since 2014. At Wolverine Mr. Jernigan is actively involved in the firm’s development, acquisitions, financings and investment sales efforts. Mr. Jernigan’s real estate career began with 3-years of commercial brokerage where he exclusively represented a number of high net worth investors in the acquisition, management and disposition of multi-family properties in the Dallas-Ft. Worth markets. Mr. Jernigan then joined a Dallas based real estate firm where he represented a number of the firm’s institutional clients in the acquisition, management and disposition of North Texas anchored retail properties. The late 1980’s saw a significant downturn in commercial real estate values in part resulting in the insolvency of numerous federally insured Texas based Savings & Loans. As Executive Vice President of BEI Mr. Jernigan, working through various contracts with the Federal Savings and Loan Insurance Corporation (FSLIC), directed the management and liquidation of approximately $8.0 billion of commercial real estate assets and mortgages contained within 5 Texas based federally insured institutions that had been determined insolvent by the FSLIC. In 1990 the Resolution Trust Corporation (RTC) was created to expedited the nationwide liquidation of commercial real estate assets and mortgages of insolvent federally insured banks and thrifts. For 3-years Mr. Jernigan, as Executive Vice President of BEI, served as the senior manager for one of the RTC’s largest contractors directing five nation-wide BEI offices in the liquidation of over $3.5 billion of RTC assets through nine separate RTC contracts. Beginning in the early 1990’s BEI created 8 strategic partnerships with various investment groups such as CS First Boston and Bankers Trust focused on the acquisition and liquidation of assets from the RTC. Mr. Jernigan, as Senior Vice President of BEI, directed the execution of the asset management and liquidation of assets from these partnerships. In 1996 Mr. Jernigan joined GE Capital Real Estate as Senior Vice President. His responsibilities at GE included senior management of a $3.0 billion CMBS Special Serving portfolio and senior manager of 4 “off book” joint venture real estate transactions comprised of approximately $6.0 billion of non -performing GE commercial real estate assets and mortgages. In 2000 Mr. Jernigan joined Presidio Investments, a real estate company established by a wealthy Dallas oil family focused on acquiring office buildings in the southwestern United States. During a 3-year period Mr. Jernigan acquired 6 office buildings valued in excess of $150.0 million. In 2003 Mr. Jernigan joined the Lone Star Fund/Hudson Advisors, a $37 billion private equity fund, as Executive Vice President of North American Asset Management. At Lone Star Mr. Jernigan’s directed a team responsible for the liquidation of a portfolio of real estate assets and mortgages valued in excess of $1.5 billion. In 2006 Mr. Jernigan joined Behringer Harvard REIT as Senior Vice President primarily responsible for acquisition of “value-add” assets for the $500 million BH Opportunity REIT I and the $750 million BH Opportunity REIT II. Beginning in 2010 Mr. Jernigan represented various investors and owners of commercial real estate in acquisitions, leasing and dispositions. Joe received his BS from Samford University. era.